Great challenge this week! I love your selection of patterned paper such a cute design. Hope you have a great week. 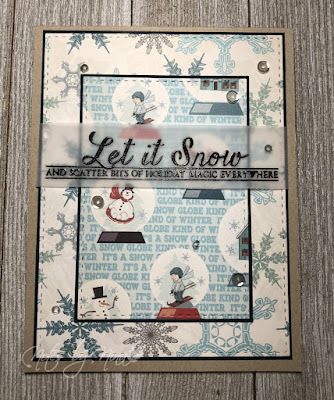 Just love your mix of snowy papers, Nina! So pretty with the vellum sentiment!! Thanks for a fun challenge! Such a cute card with that snowglobe paper. Love the embossed sentiment. Sure hope you are over that flu bug and feeling better. Awesome pattern paper to create your snow scene, Nina. Glad you are feeling better. Have a great week. 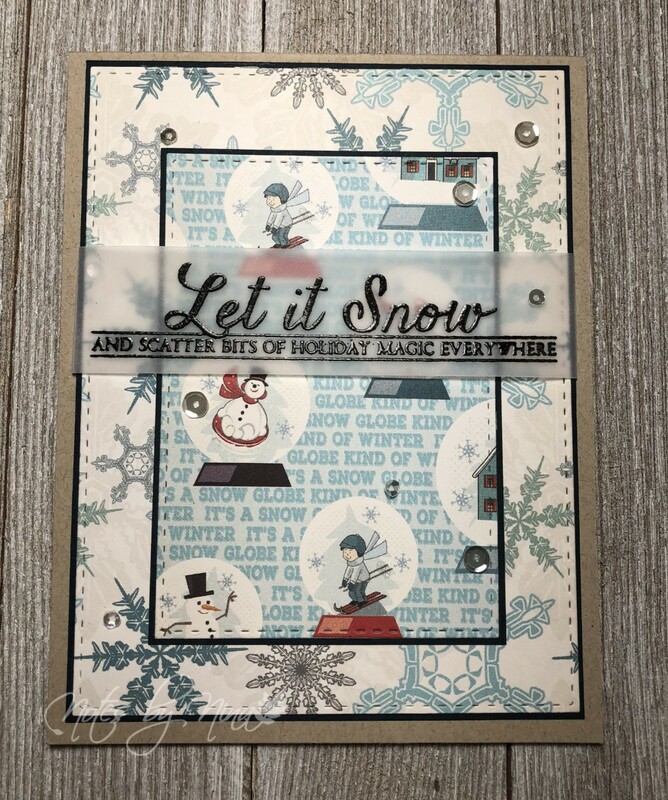 This was a great challenge...and I really like this card that you created for the challenge...great DP and the creative way you used it! 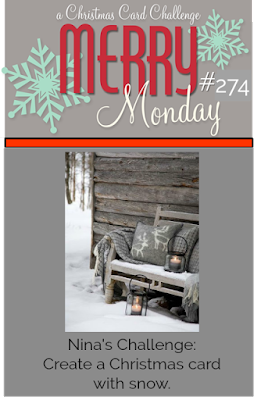 Love that sentiment & your layers are so sweet! So sorry you are one of the many people getting the flu this year & glad you're better now. Love your designer papers Nina, wonderful challenge and card.